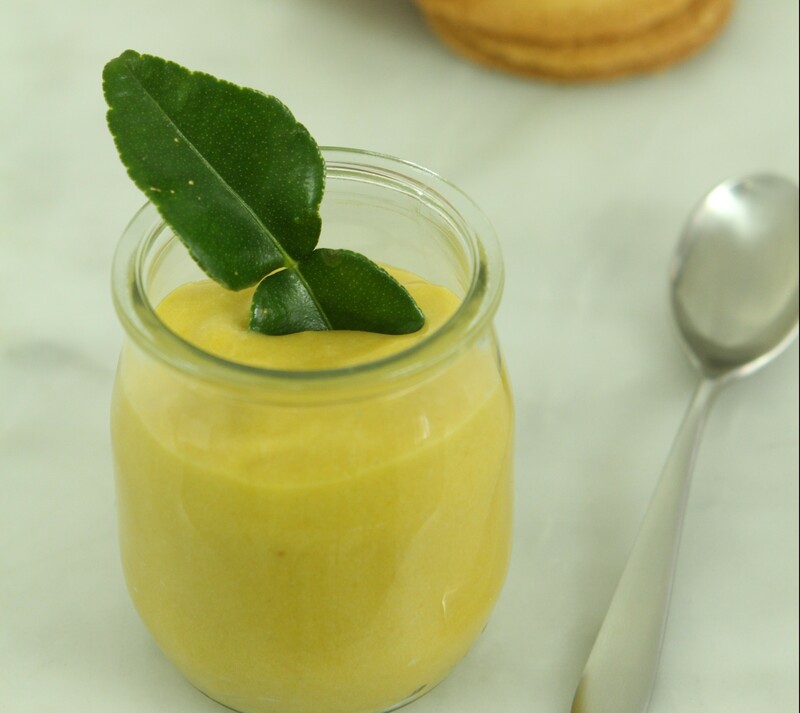 To add a touch of Thai flavours to your dish line-up, make this delicious and fuss-free Mango and Kaffir Lime Curd from scratch. Grate the zest over the sugar and mix in the egg yolks. Mix in the corn flour and then the eggs. In a saucepan, heat mango puree, sugar and kaffir lime leaves. Pour the egg mixture into the pan and bring to a boil, whisking constantly. Remove from heat and mix in the margarine. Pour into a glass jar and chill. Serve with toast, scones or Danish pastries.